Every month, I ask a friend to share her Currently list along with me. I am happy to present Sayana Rahiman from My Mouth is Full for the month of June. We met via a book club eons ago and after a couple years' break, we found each other as members of a food blogging community. I love her food photography and writing styles and suggest you check her blog. Working on : A healthy lifestyle. I’ve tipped a quarter century in terms of age and I feel it is time to clean up my habits in terms of eating healthy and exercising regularly. I feel motivated by the fact that I’m responsible for my little one and the earlier he can pick up on this, the easier it will be for him as he grows up. Reading: I haven’t read anything but mindless fiction in a while. This is probably why I’m engrossed completely in my current read Honeymoon in Purdah - An Iranian Journey by Alison Wearing. She paints a beautiful landscape of the country with its colours, flavours and countrymen with hearts of gold. It’s an insight into the land marred with stereotypes by the media which makes it an engrossing read. The book is abundant with descriptions of the meals they have. Listening: To Ali babbling, cooing and gurgling all day long. It trumps my favourite playlist on my iPhone anyday. Thinking: That I have to finish this list on time! Watching: Not much nowadays. My husband and I are serious movie buffs and right until the last few weeks of my pregnancy, we were watching at least two movies every weekend knowing very well that going to the theatres would no longer be an option for a very long time once the little one arrives. We now enjoy Last Man Standing, Modern Family and Veep on a very low volume (sometimes I have to rewind it multiple times to get the joke) in order not to wake Ali after he’s slept for the night. Anticipating: Ali’s first Eid. Growing up, Eid was the celebration I loved with family, which always ended with an impromptu trip to the park or beach. He’s lucky to have both sets of grandparents in the country and I can’t wait to capture it all and share it with him when he grows up. Eating: Very healthy meals nowadays and it surprises me why I wasn’t doing it sooner. I do go weak in the knees when I visit Cocoville in Jumeirah. Chocolate has supernatural powers to override my senses. Feeling: That my little one is growing up way too fast for me to enjoy. I was transferring a few photos from my camera and cannot believe how much he has grown in these few months. Wishing: There were a few more hours in the day for time to do a few things I can’t do right now. Making: Magnolia Bakery’s famed banana pudding from scratch right now. Their recipe calls for Instant Vanilla Pudding from a box which is a shame. I made the Vanilla pudding from scratch using real Vanilla seed extract and I must say it’s quite hard not to sit and finish the pudding all in one go. Planning: For our first holiday with Ali to our home state in Kerala. Thrissur and Trivandrum are an 8 hour drive apart and when you throw in the wedding of an immediate family member, there’s a lot to be planned especially with an infant. Hoping it all works out without too many hiccups being fully aware there will be quite a few thrown our way. Loving: My life in marriage, Alhamdullilah. We’re clocking four wonderful years and it’s been made special by the addition of our little peanut. Thankful for: My parents that the Almighty has blessed me with. I truly know I can be wobbly in any walk of life and they’ll be waiting with helping hands and support me walk through it. Listening to a lot of podcasts (again) and trying to regroup myself. I have to put more effort into my store and these help me feel inspired and encouraged. Watching this Ted Talk by Lesley Hazleton where she shares her experience of reading the Holy Quran. She speaks so beautifully! Her voice and views fill my heart. Reading or rather binge reading Brain Pickings. I absolutely loved this post called Seven things I learned in Seven years of reading, writing and living. Planning Ramadan. There are quite a few things lined up this coming month and I am excited and terrified at the same time. It's a good thing right? Worried about my running. I have to give it up for a couple months more. Plantar Fasciitis is a major bummer. More on that some other time, In sha Allah. 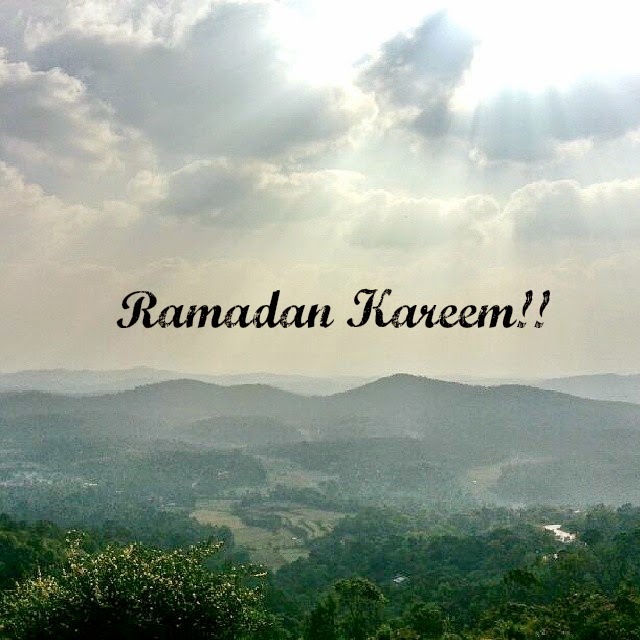 Thankful for another Ramadan. Alhamdulillah. Yes, that TED talk was superb. Can't wait to see more Ramadan specials on your blog!